Beer lovers, this one’s for you. 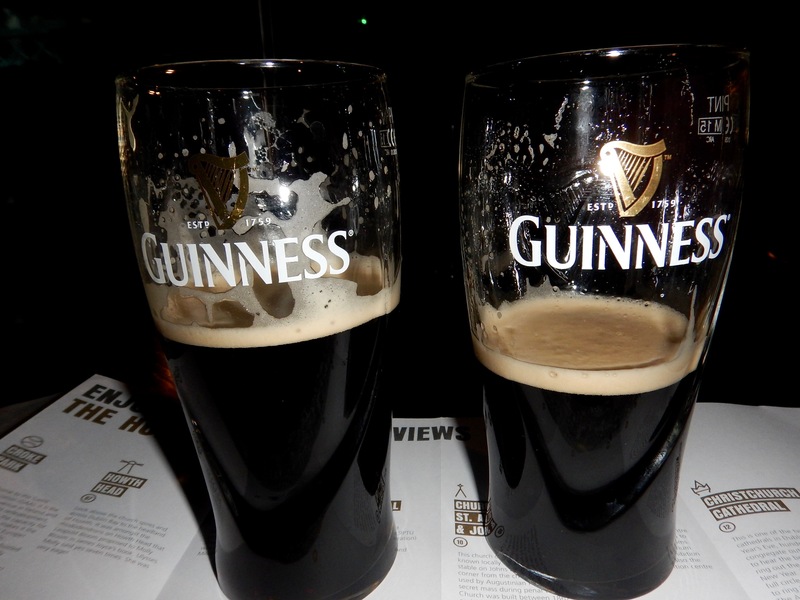 About half of the beer sold in Ireland is a Guinness product. They brew over three million pints a day, but visiting the Guinness Storehouse completely changes the way you view this brewing behemoth. 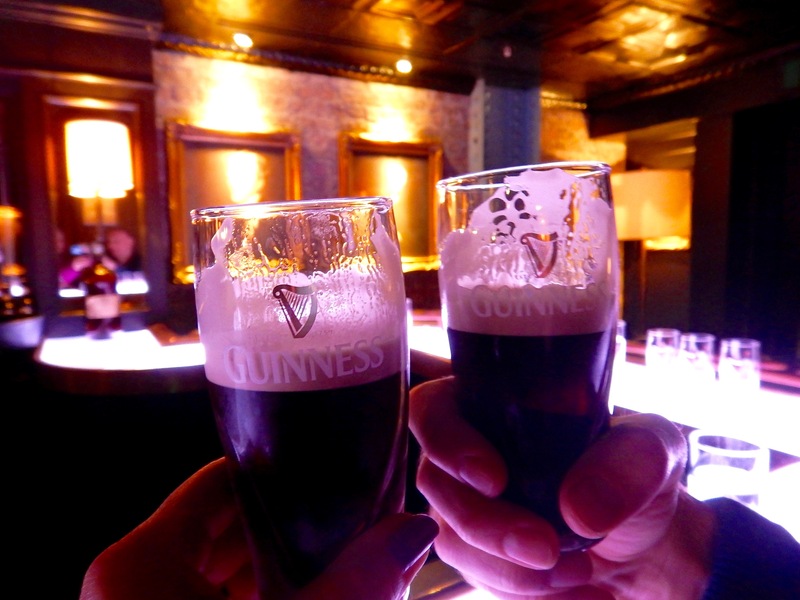 Located in one of the original Guinness buildings, the storehouse is beautifully restored. It’s a G-Ticket to Disneyland for those who drink beer. Pre-order your tickets online well in advance. This allows you to skip the ticket line, which can wrap around the building during warmer weather. 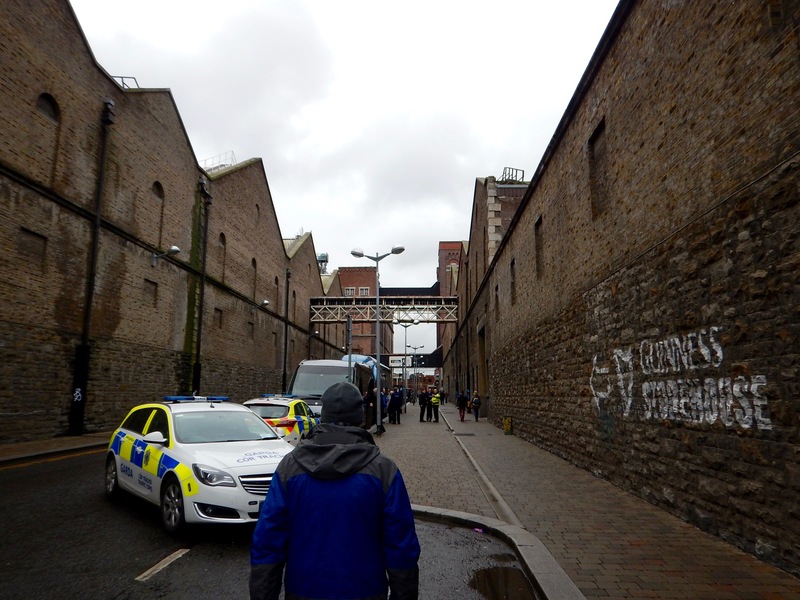 We take the Guinness connoisseur tour, which ran us an extra thirty euro (yes, Ireland is on the euro, Great Britain is not) per person. It is worth it. 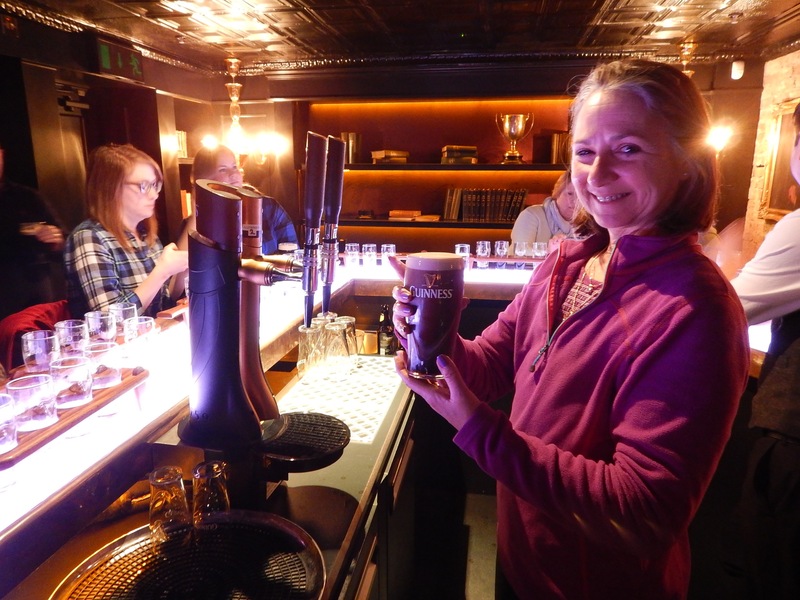 In your own private bar that seats sixteen, you taste four Guinness beers, (about 8 ounce pours) and if you are lucky, you will get a fifth beer. Ours was a new IPA they are testing. One of our beers is Foreign Extra, not available in the United States. It’s 7.5% and intended for the African markets. Yes, we are bringing some home. 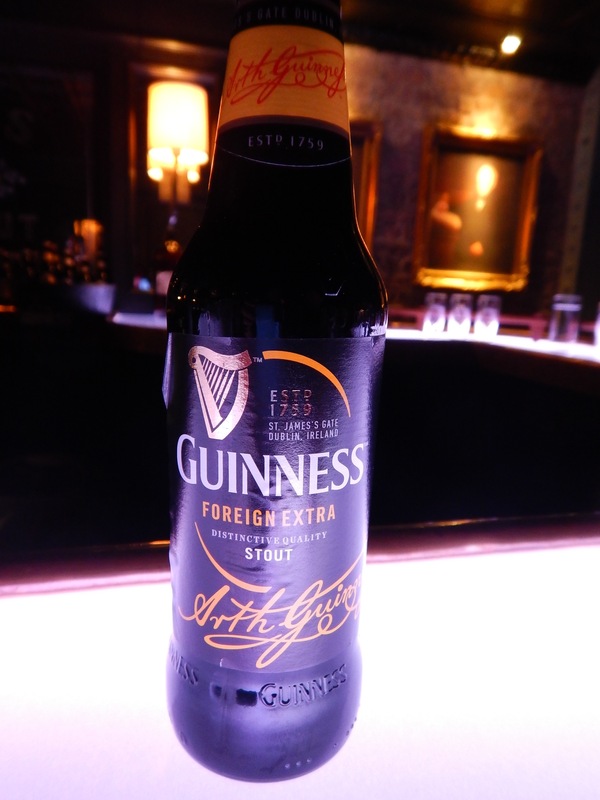 The bartender knows his Guinness, and you learn so much about Sir Arthur, the history of the brewery and the quality control that goes into their beer. There are people in Ireland who go to bars just to make sure the Guinness is being poured correctly. How do I get that job? Every day, each employee starts their shift with a glass of beer to make sure it has the correct taste. Then they rate it and all scores are compiled to make sure the product is consistent. How do you get ANY job there? After all that beer, you are not even close to being done. Next, you learn how to pour the perfect pint of Guinness. I’ve seen a lot of Guinness poured in the United States, and can assure you that nobody pours it like they do in Ireland. You get to drink your perfect pint, and you get a certificate to prove that you poured it. 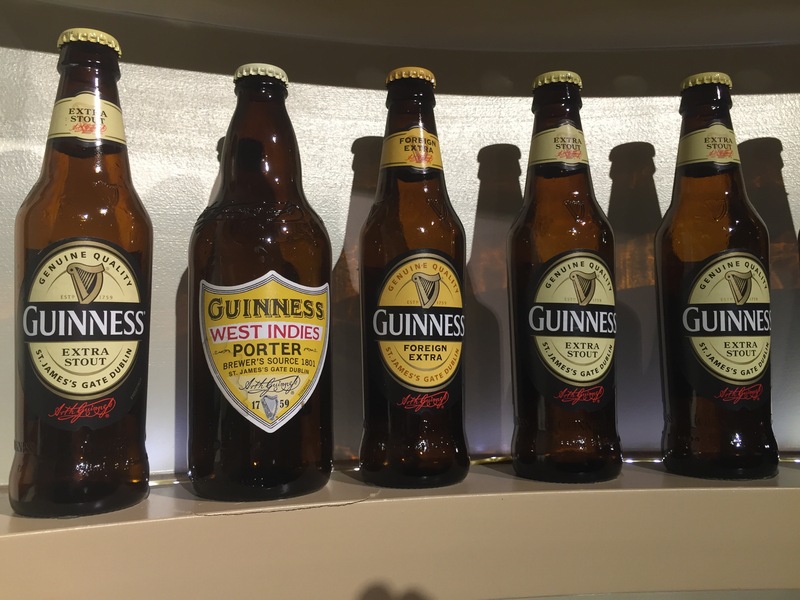 There’s a bottle of Guinness to take home, and then you get another pint, which you should enjoy in the Gravity Bar on the seventh floor. Here you get a great view of Dublin. Ours was fog-shrouded. There is a lot of rain in Ireland in February. We each drink 56 ounces of beer during our visit. Fortunately, most of it is low gravity, and we don’t feel it much the next day. 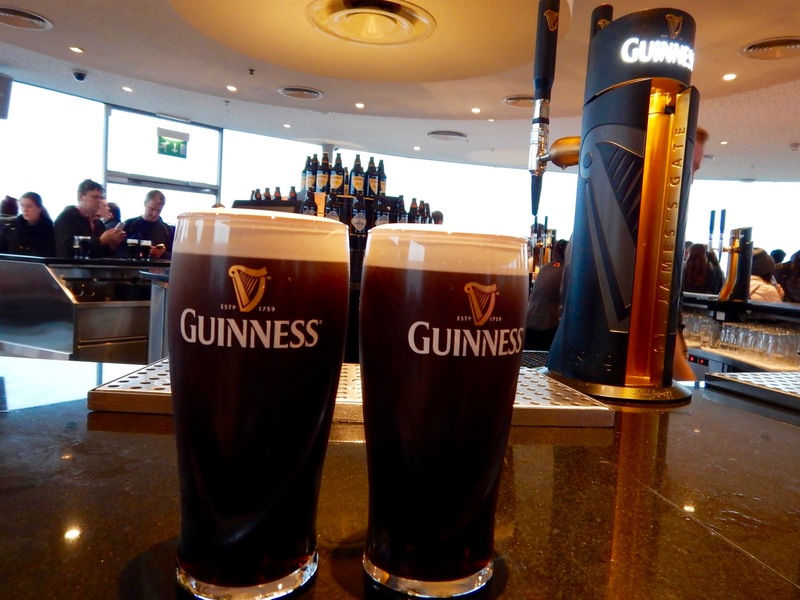 If you are in Dublin, put the Guinness Storehouse on your must-visit list. Cheers! Margaret and I visited 3-4 years ago and had a great time touring this piece of history. Funny story; we got to the top floor that is basically a round, glassed room with great city views. 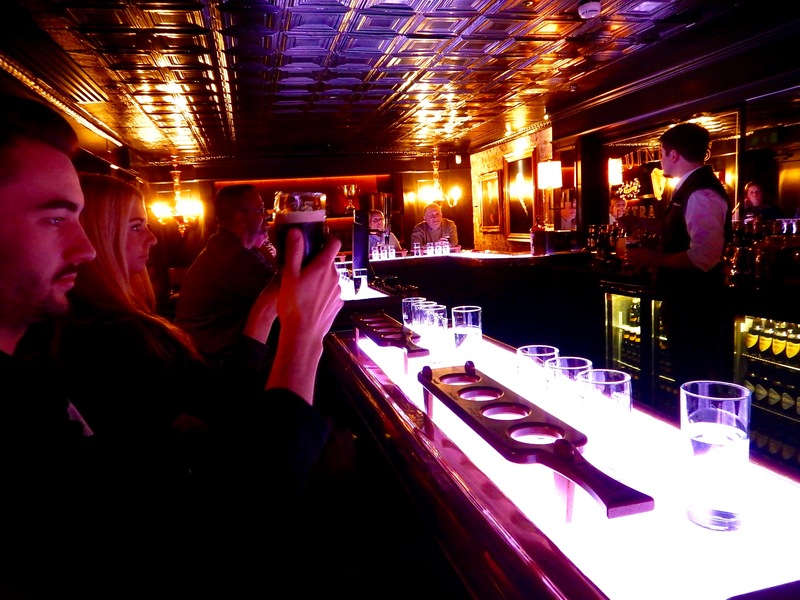 In the center of the room is a round bar where you get your complimentary glass of traditional Guinness. We notice everyone is getting full pints but for some reason they pour us each half pints….they must have known what a lightweight drinker I am….Margaret ordered another full pint though!